Bacterial culture is simply a fancy way of saying "growing bacteria." When doctors are trying to determine if a patient has a bacterial infection – whether it's in a wound, as an STD, in their throat – they take a sample from the area they think is infected and put it in a special medium where the bacteria can grow. That medium is chosen based on what site the sample is taken from and which types of bacteria are most likely to be present. This type of culture can be used to detect everything from strep throat to chlamydia, even when an infection has barely begun. In fact, a bacterial culture is a useful tool in a doctor's arsenal for just that reason. Given a comfortable environment in which to do so, bacteria tend to grow. This means that, over time, an undetectable number of bacteria that a doctor has isolated from a cut, or from someone's urethra, will quickly multiply to a number that can be observed, identified, and treated. Most bacterial STDs can be detected by bacterial culture. 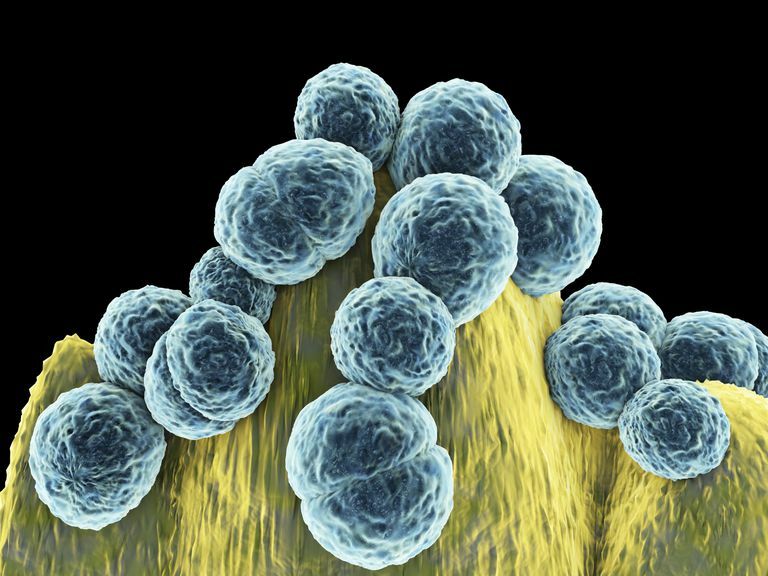 Since culture can detect even very low numbers of bacteria in a simple, it has long been considered the gold standard test for chlamydia and gonorrhea. However, bacterial culture requires special supplies and techniques, which means that it's not often done when doctors have other options for STD testing. In particular, it has been replaced by LCR and other DNA amplification tests on urine samples for chlamydia in gonorrhea. As these types of urine tests have become cheaper and more widely available, recognition of their efficacy has also been growing. In fact, some people now consider these tests to be another gold standard test alongside bacterial culture. They also have the advantage of being able to detect non-viable bacteria, where culture can only be used to detect living organisms. Hassanzadeh P, Mardaneh J, Motamedifar M. Conventional Agar-Based Culture Method, and Nucleic Acid Amplification Test (NAAT) of the cppB Gene for Detection of Neisseria gonorrhea in Pregnant Women Endocervical Swab Specimens. Iran Red Crescent Med J. 2013 Mar;15(3):207-11. Peng XB, Zeng K. Ligase chain reaction for Chlamydia Trachomatis Detection in Urine Specimens From Symptomatic and Asymptomatic Men. Di Yi Jun Yi Da Xue Xue Bao. 2004 May;24(5):485-8. Wheeler HL, Skinner CJ, Khunda A, Aitken C, Perpanthan D, Staite E. Molecular Testing (Strand Displacement Assay) for Identification of Urethral Gonorrhea in Men: Can It Replace culture as the Gold Standard? Int J STD AIDS. 2005 Jun;16(6):430-2.